Ann always looks for the kitchen light as she approaches Esther Bierworth's house from the back alley. She knows the burning light means Esther is awake and O.K. 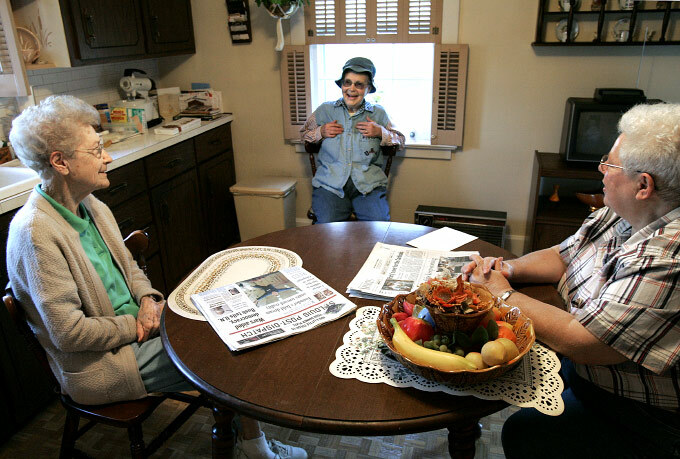 Barbara Grosse (right), Esther's neighbor and caregiver, arrives around 7:30 a.m. and Ann usually isn't far behind. The three gravitate to the same formation around Esther's table and share what they know about whom.